Being at home more with the kids has defo got me more into the whole food / cookery / baking groove. 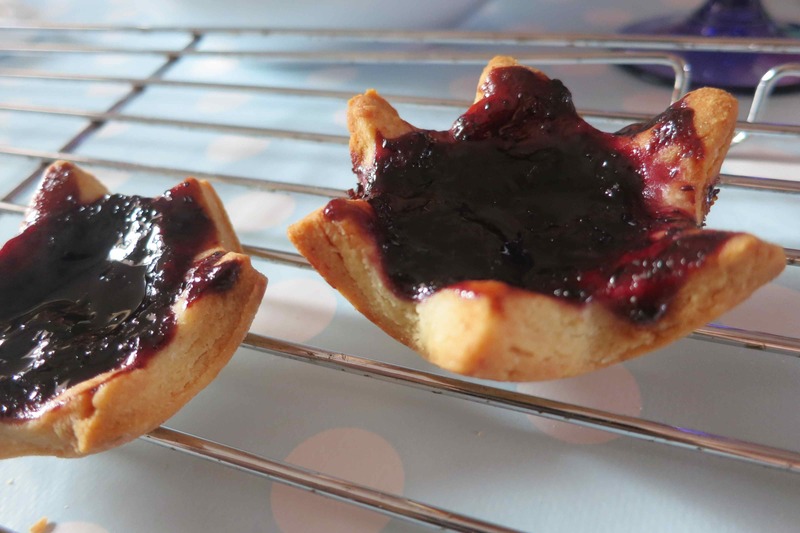 There is a certain amount of pressure to feed the boys good food and to come up with new and exciting things for everyone to try – doesn’t always work but i’m certainly trying more things out. One of these i’ve recently started doing (after following my fab wife’s example) is to get the juicer out and start making green juices with the boys helping out. We have a L’Equip Omni Juicer 6 in 1 brand juicer which does pretty much anything and the benefits are mostly about getting the maximum amount of nutrients out of the vegetables and fruit while not having to eat masses of fruit or veg. 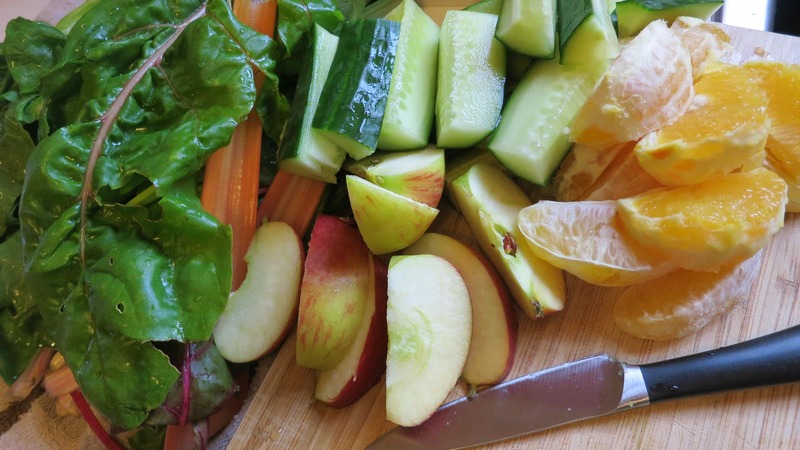 Anything goes with this, but we tend to use cucumber (don’t peel them as the nutrients are mostly in the skin), apples, oranges and some kind of leafy green veg, such as rainbow chard or spinach, then with some added apple or orange juice for added sweetness. The flavours balance out and it’s an awesome drink to go with a snack or meal, or some people just have a large juice on its own. 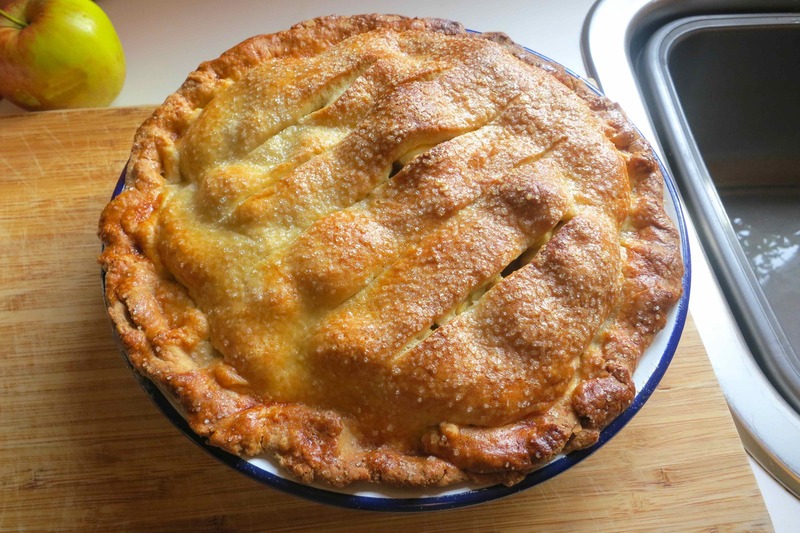 What i’ve found really useful about this is the benefit of using leftovers and things which are just past using to eat, or if there is too much of something – such as a big crop from the allotment. 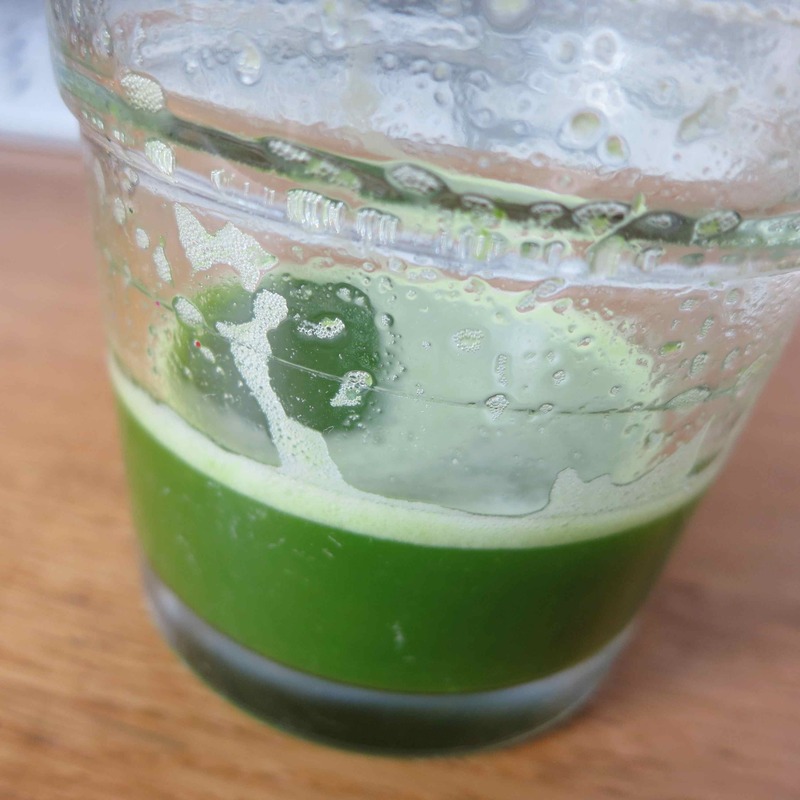 The green juice – nearly all gone! 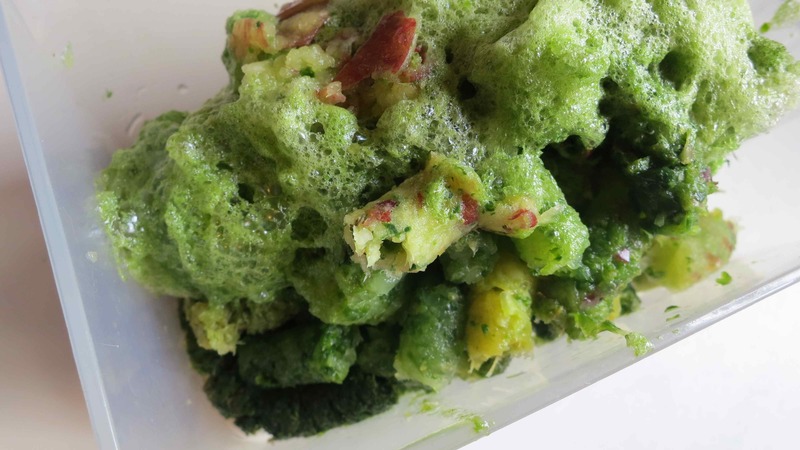 The other thing is ways of using the leftover pulp, which is mostly the fiber from the fruit and veg. Seems a shame to waste this part as fiber is so important to general health. 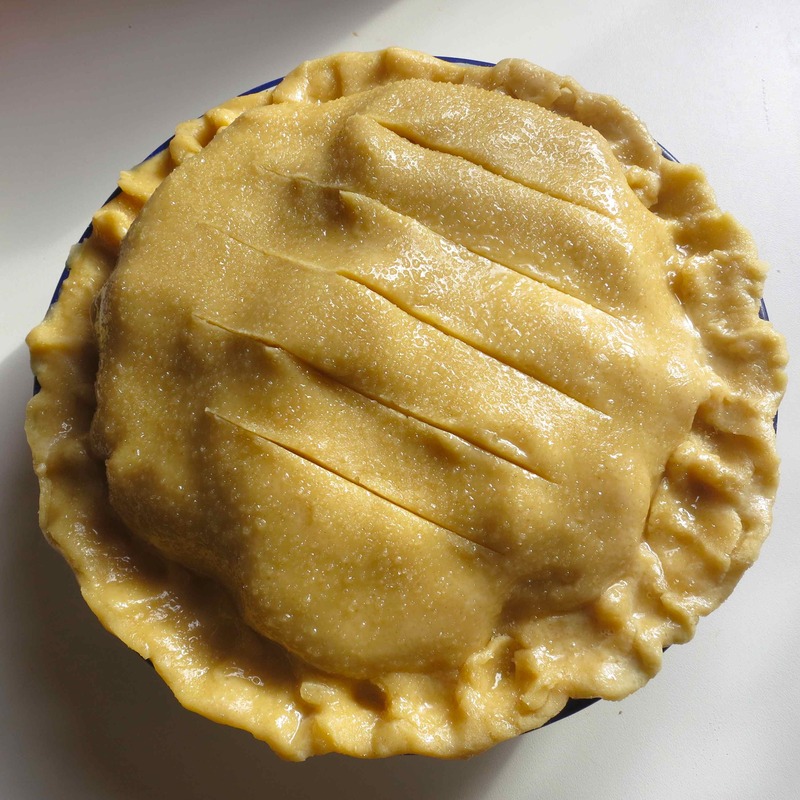 Here’s a good site for some ideas, but i’ll probably try adding some it it to a stew. 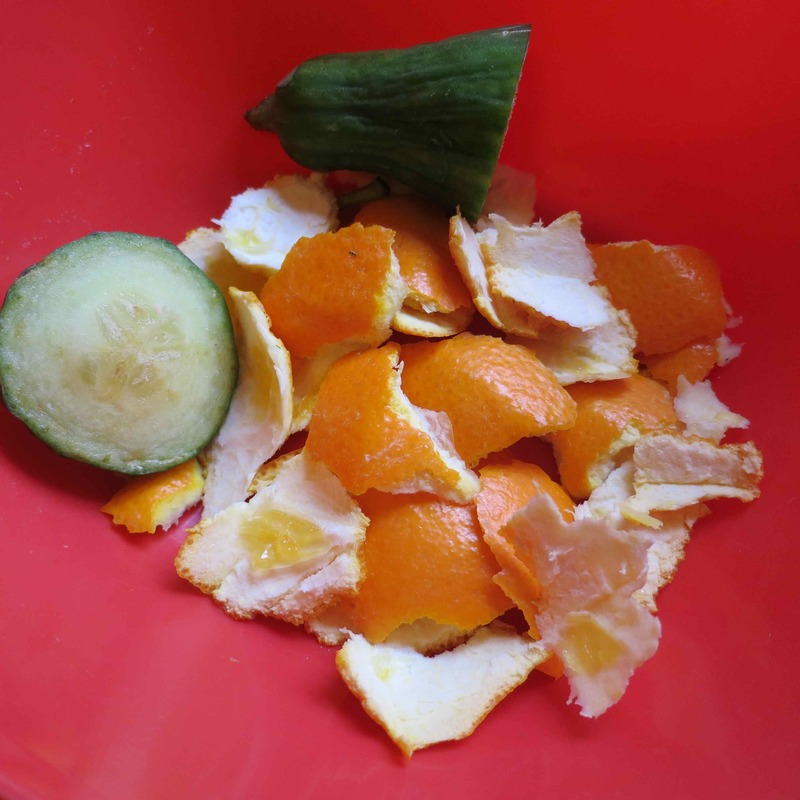 Left over pulp (to be reborn in something else soon)! A final idea is about storing the juice. This can be done by putting it into a sealed jar, with as little air space at the top as possible. Should keep for 24 hours but it’s best to drink fresh. I used brown granulated sugar and white wine vinegar, and didn’t have any cayenne pepper so just used double the normal pepper. I also didn’t peel either the tomatoes or the apples and left the mixture simmering for 2 hours instead of 1 hour as it was looking too runny. I also gave the mixture a few selected goes with the stick blender to reduce the size of some of the larger apple pieces. The apples were scrumped from a tree just by the entrance to the huge manure pile by the equestrian centre and the onions were grown by Claire’s Dad, so 95% of the ingredients were free. 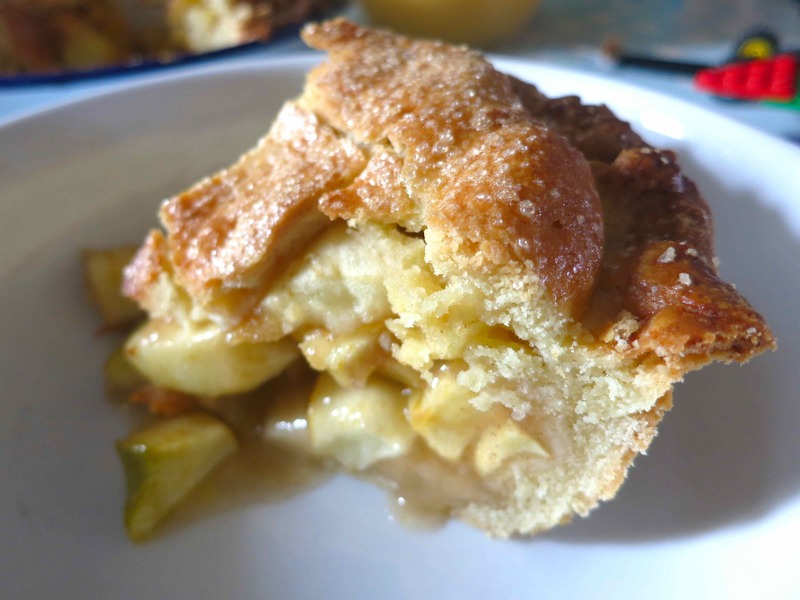 * The day after this, I also used up the last of the green tomatoes and made a green tomato and apple chutney. So, 2 weeks ago, our plot looked like it had been abandoned the year before. Now it’s starting to look like it could be the source of a good proportion of our vegetables every year. I’ve been over there three times in the past week and a bit and it feels amazing. The combination of physical work and the connection to the earth is brilliant (I think I already said this in the previous post but it’s such a strong feeling)! – A car load of 10 plastic tubs full of amazing compost (which we had been creating in our two compost bins in the garden) were first emptied into the tubs then loaded into the car. We also loaded two, triple stacked, raised bed frames into the car and the wheelbarrow. 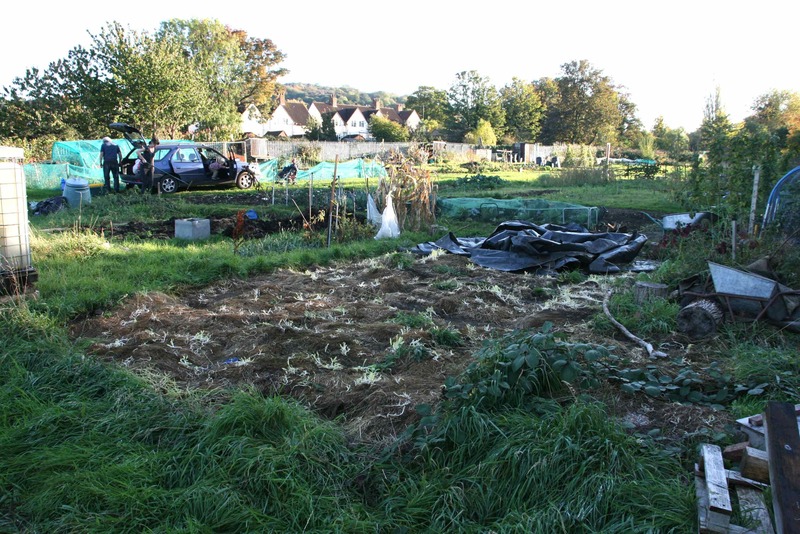 – All this was unloaded at the allotment and half the compost dumped onto the plot. – Back to mine for a quick lunch. – Loaded the rest of the compost from the garden into 3 more tubs, and into the car, including bags and spare tubs for next manure collecting journey. 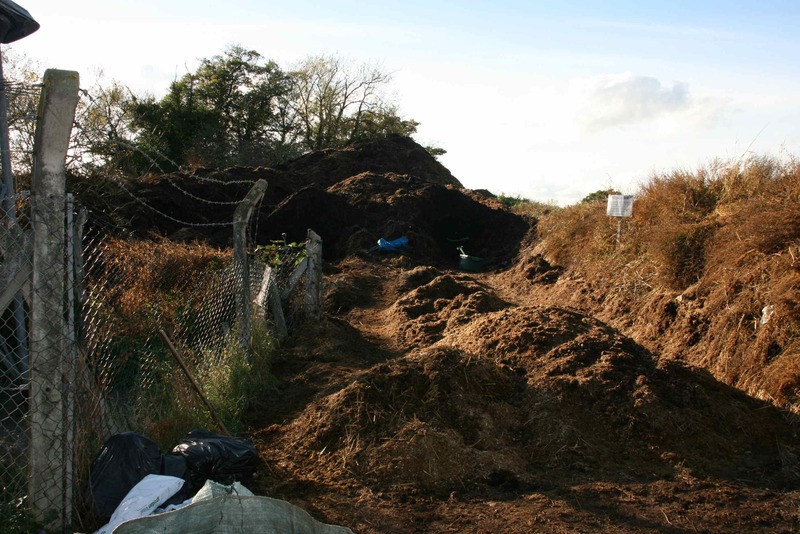 – Unloaded compost at allotment then drove over to the equestrian centre to pickup as much manure as we could load into the car! 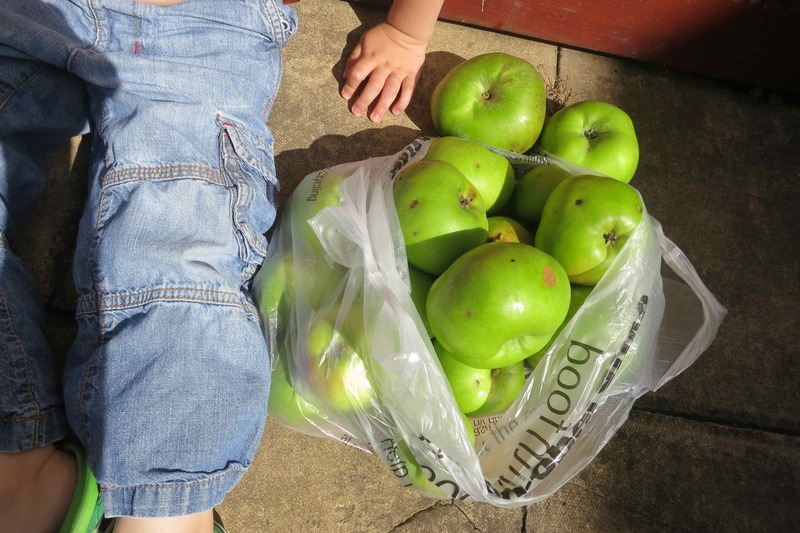 Also picked a bag of apples from a tree on the entrance lane. 10 tubs full of manure, 4 Ikea bags, a huge white builders bag and a large green bag! Enough for half the plot. – Back to the allotment to dump all this and to dig this in as much as possible. We met Claire and the boys and we all had a great time roaming around and digging, watering things, playing in the car etc. A really nice, clear and sunny day. 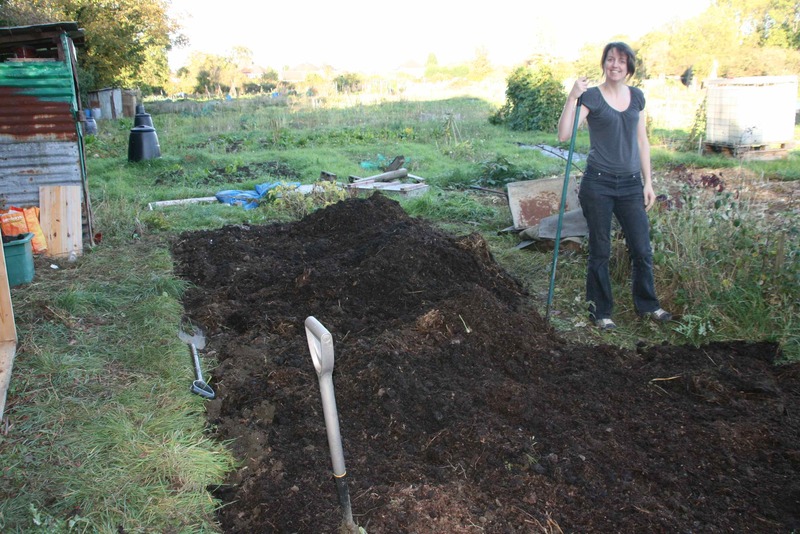 More of the plot was also dug by Claire. – We pulled back the black plastic sheet from the main other half of the plot and folded it up. This needs to be done to allow rain to get into the soil and to loosen it all up, as it was very hard. Cleared the branches and random wood into tubs. So, lots of progress and the aim now is to get the rest of the plot cleared and dug over within 3 weeks, before Dad comes up again for a final double manure run, which will provide enough to improve the whole area.